OGHS is our annual all-church, ecumenical, international emergency relief offering and has many powerful stories to tell. The UCC works collaboratively to use OGHS dollars effectively through: National Disaster Ministries, Refugee Ministries, Global Ministries and Volunteer Ministries. Through One Great Hour of Sharing, we are able to reach out with compassion and practical assistance to assist refugees, support sustainable development, and assist worldwide with emergencies. Every donation to OGHS makes a difference. If you are able to make a gift, please make your check payable to “First Congregational Church of Burlington”, memo: OGHS. You may also donate to OGHS online. There are OGHS offering envelopes on the bulletin board at First Church and they will also be distributed during worship service on June 12 and 19. OGHS dollars are needed for many global development and emergency relief efforts, including in the U.S. Learn more about OGHS online by clicking here. Spring into Action: Toiletry Drive for JUMP! JUMP (the Joint Urban Ministry Project) needs our help filling the toiletry cupboard for the summer months. An interfaith, weekday outreach ministry that is hosted by our church, JUMP is open Tuesday through Friday from 9am to noon in our church dining room. JUMP provides much needed assistance to more than 40 Vermont households each week. Every spring, we take our turn supplying much needed toiletries to households in need through JUMP. Please pick up a bag at church – complete with the shopping list attached – and return it filled anytime in May or June. If you would you like a form for tax deduction purposes, please save your receipts to staple to the forms that are available in our office. If you shop without one of our bags, please pack the following items in a doubled plastic grocery bag or reusable grocery bag: 2 bars of soap; 2 bottles of shampoo with conditioner; 1 large tube of toothpaste; a soft bristle toothbrush; 1 package of disposable shaving razors; 2 rolls of toilet paper; 1 deodorant; and 1 can of shaving cream. Meals On Wheels helps people stay in their homes when they are unable to prepare their own meals – what a great mission! Could you be part of our MOW team? 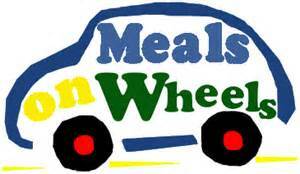 We need substitute Meals On Wheels drivers and “runners” for the second Wednesday morning (10am to noon) of each month. If you’d like to help or want to learn more, please contact our Meals On Wheels Volunteer Coordinator Al Weldon (802-864-2583). Our Small Potatoes Coordinator, Becky Winward, is seeking volunteers willing to help make sandwiches for Small Potatoes on the following Fridays: June 24, July 22 and/or August 26. 8If you are able to help on any of these dates, please contact Becky (802-862-0183). Small Potatoes is a free community breakfast and bag lunch that is served on Saturdays at 8am from the narthex of our Chapel. Small Potatoes is a collaborative effort with the Burlington Friends Meeting. Rob Backus coordinates our support of Burlington’s Dismas House. For more than 25 years, members of our church community have provided and shared dinner at the Buell Street Dismas House at 6pm on the third Thursday of each month. To learn more or to offer to assist in this important mission, please contact Rob at [email protected] (802.310.1772). Dismas House is a supportive community for former prisoners transitioning from incarceration and university/college students who are also in transition with their lives. Living in community accomplishes the Dismas mission of reconciliation. Community is fundamentally about relationship and it is precisely the relationship between the offender and their community that is broken, first by the crime committed and subsequently by the resulting incarceration. In reconciliation, wholeness is restored to the former prisoner and to society. The Possibility Shop, the amazing thrift shop in our church basement that serves the community and our church in many ways, is in need of summer volunteers. If you are interested in learning more about what’s involved, please contact Becky Winward at: [email protected] or 802.862.0183. The Possibility Shop is open Wednesday and Friday from 10 to 3 and on some Saturdays from 10 to 1. The “Poss Shop” mission is to support First Congregational Church UCC of Burlington through the sale of donated clothing and household goods. 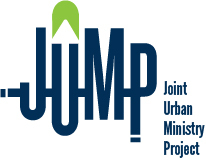 Community members with financial needs can access vouchers for clothing and household goods from the Poss Shop through JUMP – the Joint Urban Ministry Project. The Possibility Shop welcomes donations of clothing and household goods, clean and in good condition, are welcome year round – receipts for donated goods are available from the Church Office. Our historic parsonage has served the housing and hospitality needs of families who have traveled to Burlington with children in need of care at the UVM Medical Center since 1984! There are a variety of volunteer opportunities from baking dinner or snacks in the RMH kitchen, to weeding and gardening, or being trained to fill a regular volunteer shift in the house or in the RMH Family Room at the UVM Medical Center. To learn more, please see the RMH website: https://www.rmhcvt.org and contact their office to ask about current volunteer needs: (802) 862-4943. This entry was posted in News and Announcements, Outreach and tagged JUMP, Meals on Wheels, mission, One Great Hour of Sharing, Small Potatoes, volunteer opportunities. Bookmark the permalink.